I'm Training 2,020 Millionaire Marketers by the Year 2020, Get Your FREE Founding Membership Now!! LET ME GET YOU SALES! 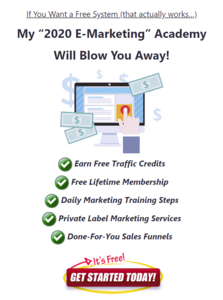 Plus, I will even PAY YOU to build your email list!!!! When I click the link I get a 404 page. Is this still available? Dan, Scott, and Greg you guys are up next to get sales placed under you!! I just placed the next referral under Phil West!! Congrats!!! Awesome I just placed a referral under Krystian Zielinski congrats!!! Just saw a couple more members join, great to have you guys on board!!! Krystian Zielinski & Phil West you guys are next on the list for referrals to be placed under you! @Brian Abrams Congratulations! I just placed your first TrafficWave referral in your downline! This referral will earn you $6 per month recurring commissions, hope to place many more in your downline! I just saw a few more members join, welcome and I hope to have you getting sales soon! New members can claim up to $10 or more in free bonuses during the first 3 days of training! These are revealed during day 1 2 and 3 steps as they are completed. Most of the bonuses don't require any purchase on your part to claim and can be spent on traffic from various sources. Also I have added a 2nd-tier commission so anyone you refer will earn you 10% of any commissions they receive... even if you did nothing! Lastly I added a support forum recently so new members can request support from someone else besides the ADMIN, (me) - so this will hopefully provide another way to network with fellow members and get support from each other. 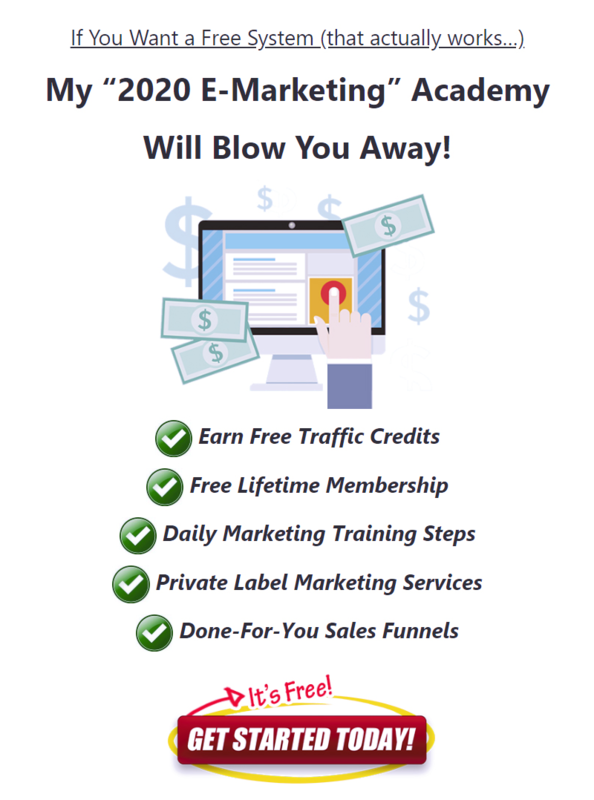 All members now get paid $1 per FREE referral... which can be spent on any traffic pack, solo ad pack, or other private label services. Just another way I plan to continually give back to my founding members! Thanks Brian glad to have you aboard! I sent you an email as well. Let me know if you need any further help with the squeeze page integration. Are you bizevolv? or are you just promoting it? I just signed up.. let's see how this works. Hi Brian yes I am the owner of BizEvolv.com - however I prefer to think of BizEvolv as a community of marketers... that we are building from the ground up, that belongs to each and every member. So welcome to Team BizEvolv! Glad to have you aboard! As a founding member you will only get more and more benefits as time goes on. I have made it basically 100% free to enter the academy for everyone. Also you can now use any autoresponder with the system. Or just use our built-in one. BUT you will also get extra benefits from using our recommended one. Either way you go will work with our training! Hey thanks for the question, I sent you a response by PM please do let me know if you have any other concerns. Wonder if anyone has any questions or is this forum pretty much dead? For a limited time I have opened up the doors and am allowing members to register 100% FREE now. Don't know how long I can keep them open but go ahead and claim your lifetime free access while you still can!